As we continue our travels around the world, it's time to introduce a modern folk-rock record with both indie songwriting and traditional Portuguese chordophone instruments. Here are these unique instruments in a whole new creative universe - ready for sampling via Tracklib. Before Portugal - the oldest country in Europe - before the Romans and before the Arabs, this part of the Iberian peninsula was the land of the Lusitanians, a Celtic tribe that still gives name to Portuguese culture: “Lusitanian” literally means “Portuguese” to many people. This track was free for a limited time only, and was only a free track download - a license is still required to release your new song. This chordophone track features the violas Beiroa and Amarantina played by Neil Leyton and Micke Ghost. Musically-speaking, the chordophones are small guitar-like instruments the Portuguese call “Viola” that probably migrated from France to Portugal in the 14th century. From 10, 12, 15 and 18 string variations, with various tones and tunings, the chordophone were traditionally lead or rhythm instruments used to accompany singing and dancing at popular get-togethers and village parties - before the 20th century. Then Fado took over as the “national” music genre, drowning out the regional instruments that, as ethnomusicologist Domingos Morais explains, “fell into total disgrace, were sold at fairs like worthless instruments, whose ultimate destiny was the fireplace”. Some, like the Toeira, actually went extinct before a new generation of “tocadores”, or players, started bringing them back in recent years: the violas, not the players, are the real “Lusitanian Ghosts”. Present-day Portugal is a hotbed of musical activity, both sample-based and otherwise, where Portuguese and international musicians fuse genres and innovate on tradition taking it onwards to future musical realms. Today, O Gajo is re-inventing the Campaniça; OMIRI mixes the Braguesa with sampled electronics; and of course Primitive Reason were dropping the Terceirense, played by US-born Abel Beja, into Primitive Reason crossover albums mixing hip-hop, alt-rock, folk and world music long before that was trendy. 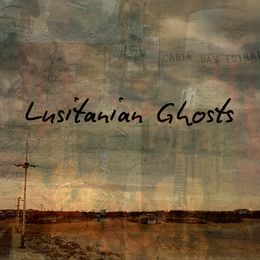 Upon returning to Portugal 10 years ago, it took Portuguese-Canadian rock n roll singer-songwriter Neil Leyton a decade literally get to know the musical landscape of his native country and assemble the artist collective now known as Lusitanian Ghosts: Neil Leyton, Micke Ghost, OMIRI, O Gajo, Abel Beja and drummer-percussionist João Sousa, along with other friends, make up this fluid collective. Read more about the Lusitanian Ghosts here.